Happy New Year! 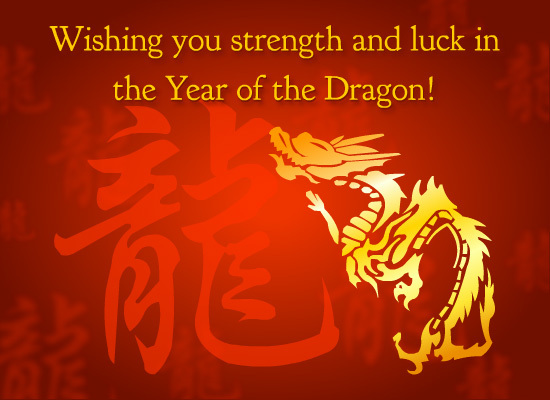 It’s another new year in the Chinese calendar. I’m so used to celebrating it while we were in Asia for the last 10 years that it feels weird to know I have school this week! Bummer, right? 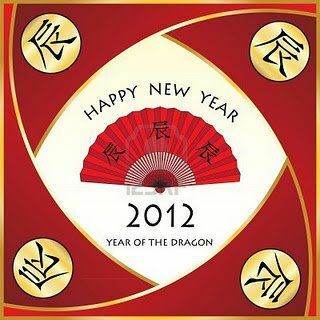 I’m super excited about this year because it’s the YEAR OF THE DRAGON! Oh yeah. And I think it’s going to be a good one. Chinese legends tell the tale of how during the eve of the new year a mythical beast named Nian would feast and plunder on the village’s livestock, crops and even villagers. So the villagers started putting food outside their doors to keep the monster at bay. Then one year, a villager noticed that Nian was afraid of a child wearing red. So they strung red lanterns across their villages and hung red scrolls in their windows. They even lit fireworks to scare him off, too. Today, the Chinese prepare feasts, shoot of fireworks, have parades and hand out gifts. It’s a beautiful, festive holiday. In Korea, the day is called Seollal. Koreans call this day the Lunar New Year and it’s celebrated in a three day holiday. Visiting family during this holiday is very important. This why when we lived in Seoul, we’d NEVER travel. The traffic to leave the city was horrendous. If you were to travel, you’d need to leave before dawn. I always loved visiting the museums and shops during Lunar because everyone else was gone and we wouldn’t have to fight the traffic or the lines. We’d practically have the place to ourselves. And ohhhh the rice cakes they make at this time of the year. So soft and savory. Yum. Thanks to Real Image for the lovely pictures. 9 Responses to Happy Chinese New Year! Love this post and video! I’m doing Chinese New Year activities with my 3rd grades this week. We hung lanterns today. I think I’ll show your dragon clip tomorrow morning. They’ll love it! I love your posts about Korea and other places. Thanks for sharing the legend. Great info. Thanks for sharing and Happy New Year to you too! There is a small Chines community half a mile down the road from me. I like to watch their firework display each New Year. Nora- this is so great! I’m glad I could be a help. I read my students THE RUNAWAY WOK by Ying Chang Compestine. It’s an excellent Chinese New Year tale and the illustrations are fun and colorful. My students love it. Gong xi fa cai! I’m looking forward to making dumplings this weekend. ;D Have a great New Years! It sounds like a fantastic celebration. Thanks for sharing your experiences with us.